There is more than just dentist profession working in a dental office. The supporting profession such as dental hygienist, dental therapist, and dental assistant play an important role in maintaining the flow of an office. One of the professions that are sometimes overlooked is the dental laboratory technicians. Therefore, today we are going to talk all about it, including the dental laboratory technicians jobs opportunities, etc. 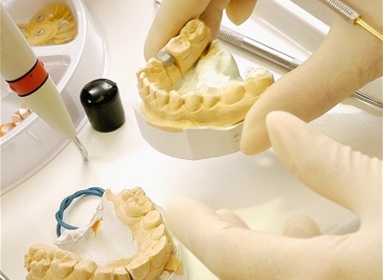 The main responsibility of a dental laboratory technician is to manufacture dental prosthetics. Depending on circumstances and dentist requests, they are also in charge in manufacturing crowns, dentures, ceramics, and bridges. The so-called dental technicians will manufacture these items based on the measurements and specifications from the dentist, so every piece is unique. Legally, there are no educational requirements needed to become dental technicians. That being said, having a formal education will certainly increase your probability to get the job, because most dentist offices prefer the ones that are already familiar with the dentist office environment. Moreover, having a formal training can also raise your value, which means that you have a higher chance to get a better salary. If you decided to get a formal training on becoming a dental laboratory technician, you should choose the ones that are accredited by the U.S. American Dental Association. There are a lot to choose from, from community colleges to U.S. Armed Forces. By attending the program, you will graduate with an associate degree. Although there have been a declined vacancies until 2010, Bureau of Labor Statistics predicted that the profession will grow positively until 2018. According to statistics, the demand for dental technicians will go up annually over the next few years. It is estimated that the market will open around 5,600 new jobs by 2018, adding from the current 82,900 people who have worked in this field. This growth is slower compared to the average growth of all occupations in United States. That being said, if the cost of cosmetic prosthetics becomes less expensive, this data might go up. Last year’s survey on this profession shows that the median salary per year is at $33,070. The average hourly wage is at $15.90. Several opportunities will appear for advanced technicians. Large laboratories may hire you as their supervisors or managers. You can even be a teaching staff at a dental technician program or open your own laboratory. Of course, soft skills are needed. This line of work has a low stress work environment, meaning that you will have very little supervision; therefore, it can give you a sense of satisfaction because you are in charge of the whole process. Your creativity is boosted. Moreover, dental technicians are always needed, so it will give you a secure feeling. One of the best thing that you should always remember if you choose to make dental laboratory technicians job as your career is that you need to improve your soft skills. These include your communication, management, discipline, etc. Posted by mimin on March 29, 2019 at 5:39 am under Dental. Comments Off on Dental Laboratory Technicians Jobs.